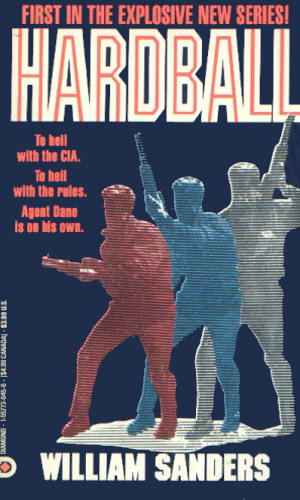 Randall Dane is a contract killer for the CIA. For many years, Dane (no one calls him anything but his last name) was an important member of the CIA, specializing in elimination. A growing dissatisfaction, however, eventually changed that and Dane went out on the free market where he enjoyed a good deal of success. He charges a steep amount, making his standard of living attractive, but he does have a personal standard that makes his choice of clients highly select. He still made himself available, however, when the Agency had an assignment, which makes his other activities something to be ignored if not sanctioned. Dane is a former Special Forces veteran who served in Vietnam before being recruited by the CIA. His time with the Agency, as well as the time spent on his own, took place largely in the Middle East and Mediterranean. His knowledge of languages, Spanish and Arabic among others, was proficient enough to recognize dialects, a fact that saved his life more than once. 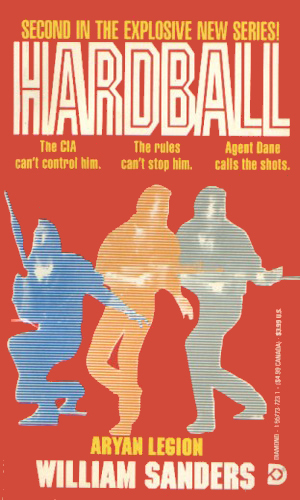 The three-book series about Randall Dane is an anomaly. 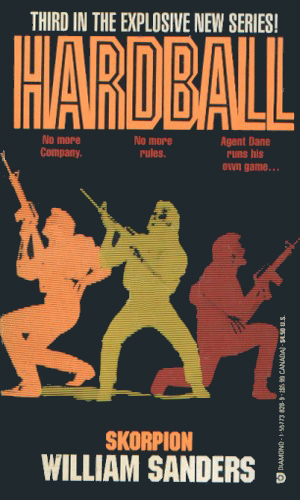 It is was published by Berkley under the Diamond imprint as an 'Action/Adventure' novel and it certainly is that. But that classification usually detracts readers of 'serious' espionage fiction from looking closely and that is a serious mistake. The writing style and pace of the books are very reminiscent of Donald Hamilton's Matt Helm series, which I consider high praise. Dane is a man of action but he can also think for himself, and often does before acting, an ability that has saved his bacon on more than one occasion. The CIA asks a recuperating Randall Dane to keep an eye on an island retreat off the Texas coast. It soon becomes a battlefield when revenge seeking Arabs come to town. The Agency asks Randall Dane to help a man who has encountered trouble with the Aryan Legion in North Carolina. Dane takes a personal interest when a friend is killed. In need of money, Randall Dane reluctantly agrees to help a wife rescue her husband from a Caribbean island prison but there is far more behind his release than just freedom and Dane will pay heavily for his services. I really enjoyed the three-book chronicle of Dane's adventures and would have gladly go further if the publisher had been wise enough to give us more. Unfortunately, that is all there is. In the About section, I compared the series to that of Matt Helm and the comparison is a good one. The character is a down-to-earth sort with a natural distrust of the complicated or too fancy. Give him a shotgun and a pair of binoculars and he is happy. He isn't a perfect agent for he makes mistakes but he doesn't complain and he gets the job done.